Saydam Properties Group does many new construction sales, and we’ve found people have a lot of questions about the process. We hope to provide some assistance, so follow along for some of the frequently asked questions, along with our answers! 1) What’s the first thing I should do if I’m considering a new construction home? First, find a real estate agent who has a lot of experience with new construction and builders. Buying new construction is a different beast than resale, so you definitely don’t want someone who has few or no new construction transactions under his or her belt representing you. An experienced agent can help with negotiations and assist with decisions on finishes, including what’s best for resale because you never know when you might need to sell. They’ve been through it before, so they know what questions to ask, what pitfalls to be aware of, which builders are reputable and which aren’t, and what to expect. It’s critical that the builder know from the start that you have an expert on your side; it lets the builder know that you’re not coming in with eyes “wide shut” and provides an extra layer of protection. And, remember, the builder pays your agent’s commission, so our service is FREE to you! 2) So, why should people consider new construction vs. an already built home? The very obvious answer is that everything is new, up to code, and you have control over what sort of finishes you want; that’s always fun. Also, some builders offer assistance with closing costs, which is helpful especially if you’re buying for the first time. 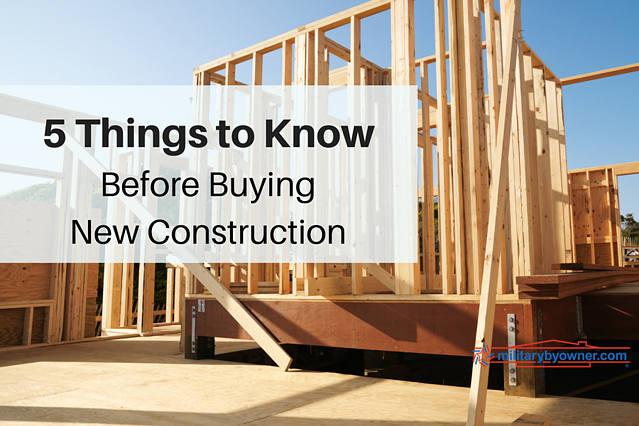 3) Are there downsides to buying new construction? There are of course some downsides. New construction vs. what we refer to as a “resale home” is not for everyone. First of all, you have to consider that new construction typically costs more — I mean, that shouldn’t be totally surprising given that you’re getting new everything: a new structure, new roof, new appliances, and everything has to be done to the new code — so it’s going to be pricier than the same size home in the same area that doesn’t boast “new.” There’s also a significantly longer timeline involved when it comes to new construction. 4) What’s the most common mistake you see people make? There are a few major mistakes people make when buying new construction, but the most common is not hiring an agent experienced in these types of transactions. A lot of people have this misconception with new construction that because it’s new, there’s nothing to worry about. We’ve found serious defects in brand new home construction that our buyers would otherwise have just walked by. 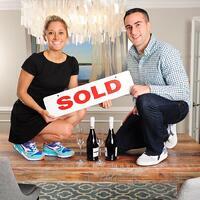 We’ve negotiated certain items that our buyers didn’t realize were negotiable. We set expectations upfront so that our clients have a really good sense of what they’re walking into before they pursue one of these types of properties. Again, it’s free to have an agent represent you, so take advantage! 5) Any advice for someone designing their new construction? We have helped hundreds of people buy homes, and what I can tell you for sure is this: The woman chooses the home, and they choose the home based primarily on the kitchen. And, I’ve never met a woman who prefers a dark countertop, or a dark kitchen for that matter. Even if you’re a single guy and that’s your preference, you really need to think longer term — you need to think resale. You don’t need to go all white, but bring in a woman or someone with more feminine tastes for a second opinion before opting for the super dark kitchen. You should, of course, consider your own tastes, but remember that when you go to sell, you want the finishes you’ve chosen to be attractive to the largest pool of buyers possible. Sheena Saydam, Managing Partner, Saydam Properties Group, was named by Washingtonian Magazine in 2015 and 2016 as one of DC Metropolitan Area’s “99 Agents You Want on Your Side”; and for three consecutive years as a “Top Producer.” In 2015, she was recognized as the #1 highest producer at Keller Williams for the DC Metro Region. Sheena is passionate about providing each client with service more extraordinary than they’ve received anywhere – across all service industries. As an Army brat, Sheena moved eight times throughout the United States and Europe before turning fourteen. For more information, visit Sheena's website.